Robert Heft was born in Washington, DC in 1956. He began his formal music education in third grade with the recorder, followed by six years of playing the trumpet. His interest in guitar started at age 12 and this was the beginning of a lifetime love for the instrument. 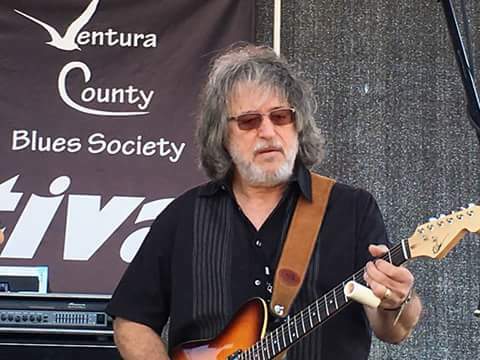 Playing in high school rock and roll bands, he developed his chops listening to Alvin Lee, The Marshall Tucker Band, The Allman Brothers Band, Eric Clapton, and various other artists ranging in styles from country and blues to progressive rock. It was during this period when Robert began playing slide guitar, emulating Duane Allman, Mick Taylor, Joe Walsh, Lowell George, and George Harrison. While playing clubs in Baltimore, Maryland, he earned his degree in Music Education. Moving to California in 1979, most of his gigs were in blues venues. Robert Heft began teaching guitar formally in Southern California music stores in 1980. This is also when he began digging into session work and developing his engineering and producing skills. This eventually lead to the formation of "Songwriters' Studio Services", a studio built with the concept of providing an affordable environment for songwriters to produce quality demos. After joining forces with Dean Guitars and Seymour Duncan pickups, Robert has developed a signature sound and style all his own. He has now established himself as a high profile guitarist, pedal steel guitarist, bassist, and producer on the Los Angeles music circuit.